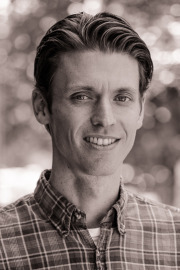 Dr. Chapman, a clinical psychologist by training, is a Senior Research Scientist specializing in research design, measurement, and statistical methods. He joined the Oregon Social Learning Center (OSLC) in 2014, and prior to this, he was an Associate Professor of Psychiatry and Behavioral Sciences at the Medical University of South Carolina (MUSC). Dr. Chapman’s research, which is mostly NIH-funded, includes studies that evaluate the efficacy, effectiveness, dissemination, and implementation of EPBs in mental health, juvenile justice, and child welfare settings. Across more than 32 NIH-funded grants, he has primarily served as a co-investigator, but also as a principal investigator, data analyst, and consultant. In these roles, he focuses specifically on designing and implementing studies, developing and evaluating measurement instruments, and applying advanced statistical analyses to study data. With most of his research occurring in real-world settings, the studies routinely rely on innovative research designs (e.g., dynamic wait-listed and stepped-wedge designs, piecewise and interrupted time series designs, cluster-randomized designs), modern measurement methods (e.g., Rasch, IRT, and bifactor measurement models, as well as their multilevel formulations), and advanced statistical models for longitudinal and nested data (e.g., mixed-effects regression models, latent growth models, growth mixture models). This work has also been extended to specialized designs and analyses to evaluate mechanisms of action and other mediation effects. Dr. Chapman’s individual program of research focuses on developing and evaluating instruments to measure the fidelity of evidence-based interventions, specifically with the aim of enhancing the efficiency and effectiveness of measurement in community-based settings. Most recently, and in collaboration with Dr. Sonja K. Schoenwald, Dr. Chapman was PI of a NIMH-funded R21/R33 that aimed to measure and improve the adherence and competence of supervisors of an evidence-based treatment delivered in community-based settings. Likewise, with Dr. Bryce McLeod (Virginia Commonwealth University), he was Co-PI of a NIMH-funded R21 that aimed to develop a pragmatic observational treatment integrity instrument for outpatient treatment. Schoenwald, S. K., Chapman, J. E., Henry, D., & Sheidow, A. J. (2012). Taking effective treatments to scale: Organizational effects on outcomes of MST for youth with co-morbid substance use. Journal of Child and Adolescent Substance Abuse, 21, 1-31.